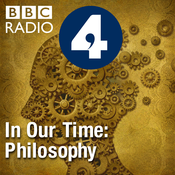 Paul Broks looks at the philosopher Ludwig Wittgenstein and the problem of "other minds". How do I know you are not a zombie who behaves like a human but actually has no consciousness? Even if you are conscious, how can I tell that what I experience as red, you do not experience as blue? I know what's going on in my own mind, but I can never have direct access to what's going on in yours. Such questions have troubled philosophers for centuries, but Wittgenstein thought that most of these tough problems were caused by nothing more than a "bewitchment by language". He didn't claim to be able to solve them; rather, he invented a method which he thought of as a kind of philosophical therapy that would cause the problems to melt away. The aim, he said, was to "show the way out of the fly bottle". In the case of the "other minds" problem, he imagined trying to invent a "private language" to describe one's own private mental states, and then showed (he thought) that such an idea was incoherent. Is the fly out of the fly bottle? Paul Broks suspects not, and psychologist Nicholas Humphrey argues that philosophy took a disastrous turn in the 20th century when it started focusing on language. Humphrey argues that the privacy of our individual minds is a stark and unpalatable fact about human existence which has driven much of our culture. Presenter: Paul Broks Producer: Jolyon Jenkins. If a tree falls in a forest and nobody is there to hear it, does it make a sound? That's the kind of head-scratching question that's popularly believed to occupy the time and brains of philosophers. It relates to the ideas of immaterialism proposed by Bishop George Berkeley who asserted that the only things that exist are minds and ideas in those minds. He said that matter didn't really exist and that, in any case, it was unnecessary to complicate things with such a concept. For Berkeley, "to be perceived is to be". But what happens to "things" when they are not being perceived? Did Bishop Berkeley really believe that his bed disappeared when he gets up in the morning and left the room? The answer is no, because there is the over-arching mind of God and God is always perceiving all things even when we are not. When Berkeley leaves the room God is still perceiving the bed so it doesn't pop out of existence. To try and get to grips with this Clare Carlisle talks to Dr John Callanan, a lecturer in philosophy from Kings College London and hears a neat limerick on the subject by Robert Knox. She also talks to the filmmaker Carol Morley whose documentary, Dreams of a Life, explored the story of a 38 year old woman, Joyce Vincent, whose body was found in her flat amongst half wrapped Christmas presents, the tv switched on. She had been dead for 3 years and nobody had noticed she wasn't there. The reader is Peter Marinker. Producer: Natalie Steed. Science is based on fact, right? Cold, unchanging, unarguable facts. Perhaps not, says physicist Tara Shears. Tara is more inclined to follow the principles of the Anglo-Austrian philosopher, Karl Popper. He believed that human knowledge progresses through 'falsification'. A theory or idea shouldn't be described as scientific unless it could, in principle, be proven false. Raised in a Vienna in thrall to Marxism and Freudianism, Popper bristled against these 'sciences' which could adapt and survive to prevailing political and social conditions. They could not be proven false and so they were not science. The ideas of Einstein, by contrast, could be tested scientifically and might one day be proven false. An interesting principle certainly, but potentially demoralising for a scientist who could see her life's work dissolve in front of her eyes. Tara joins her colleagues at the Large Hadron Collider in Geneva to ponder the implications of Popper's work. She also meets Popper's former student, John Worrall and string theoretician David Tong. This is part of a week of programmes asking how we can know anything at all. Barrister Harry Potter asks whether we can believe the evidence of our own eyes. It's a vital question for the justice system today and Harry traces it back to the work of 18th century Philosopher David Hume. Hume, a key figure in the Scottish Enlightenment, wrote about miracles, arguing they were most likely the product of wishful thinking and faulty perception. His arguments are still important for barristers, judges and juries still reliant on eye witness testimony to decide guilt or innocence. To find out how our eyes deceive us, Harry meets professor Amina Menon, expert in eye witness evidence at Royal Holloway, University of London. And Harry visits professor of philosophy Peter Millican at Oxford University to ask whether Hume's methods can help us overcome our inbuilt biases. Producer: Melvin Rickarby. How Can I Know Anything at All? 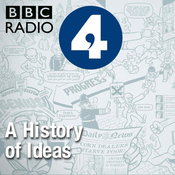 A history of ideas. Presented by Melvyn Bragg but told in many voices. Each week Melvyn is joined by four guests with different backgrounds to discuss a really big question. This week he's asking 'How can I know anything at all?' Helping him answer it are physicist Tara Shears, lawyer Harry Potter, philosopher Clare Carlisle and neuropsychologist Paul Broks. For the rest of the week Tara, Harry, Clare and Paul will take us further into the history of this idea with programmes of their own. 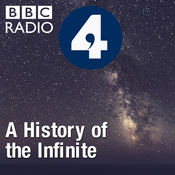 Between them they will examine: David Hume's debunking of miracles; Wittgenstein's attempt to prove that other people have minds; Karl Popper's idea of falsification, which underpins the scientific method; and George Berkeley's approach to a famous philosophical problem - If a tree falls in a forest and no one is around to hear it, does it make a sound? Producer: Melvin Rickarby. der lila podcast. feminismus aufs ohr.